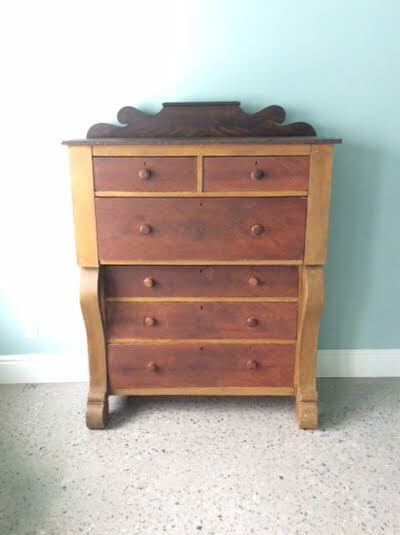 Outstanding original paint chest of drawers out of Waterloo County. This is a large chest with 2 smaller top drawers over 4 large drawers. All original with great form and a very nice dry surface. Circa 1860.